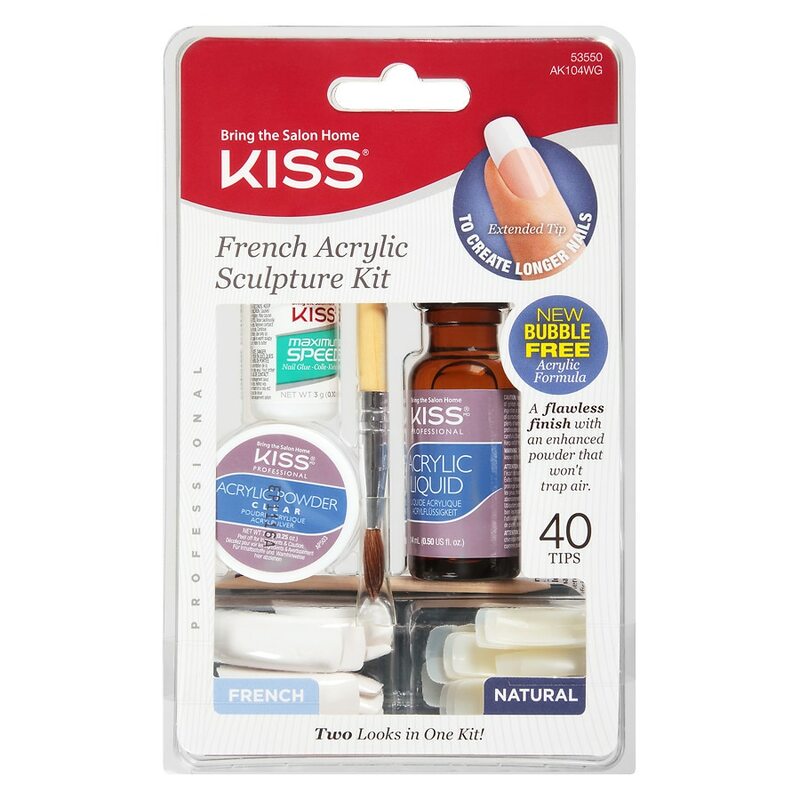 Kiss Her by Kiss French Acrylic Sculpture Kit1.0 ea. Quality products that deliver salon results. Kit contains: 20 natural nails, 20 white tips, acrylic liquid 0.50 fl. oz, acrylic powder 0.25 oz, glue 0.10 oz. sculpting brush, nail file, manicure stick.